Bill and Bobbie Boggess were hoping another TEAM missionary couple would take over their work in the fall, and God in His mercy sent two couples to take their place. Pray these two couples can take the church on to maturity which would include finding a more suitable, permanent location for the church. Pray for the evangelistic outreach planned for next month, for wisdom for Bill and Bobbie as they look toward retirement and for health and strength to finish well. 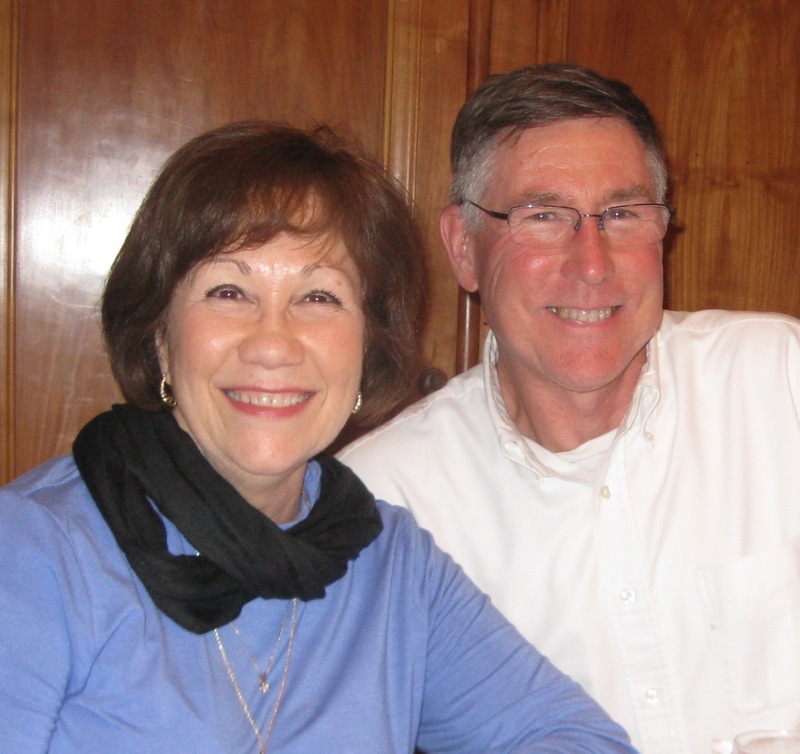 Jeff and Lynne ask prayer that Pastor Raymond, who was abducted in February, will be returned to his family and ministry as he is the vision and driving force behind the nationwide prayer initiative. Pray Christians would be in prayer for the native people. Their five children are adjusting well to being in the new international school. Pray God will draw them to Himself as they mature and adjust to their new educational environment. Lizzie has completed her cross-cultural training and language preparation and is getting ready to depart for South Asia. Pray for her to have peace and grace as she says her goodbyes, wisdom and perseverance as she prepares to move, and strength to launch into her new culture through language study when she arrives. For more info on Lizzie, see page 21 of the prayer guide. Enoch and Karen are grateful for her clean MRI and for what God has taught them through a prolonged journey of recovery. One of the regions that Enoch works with has begun its own church planting resource center and initiated their first two-day gospel training. In some areas there continues to be persecution but churches are pushing back strongly. Pray for the power of the gospel to change lives and communities and for Enoch as he brings the gospel to groups in E. Asia. Pray for wisdom for Samedy Sok, national director of World Relief Cambodia, and two of his senior leaders, Pisa and Cokha, as they develop training and support for their staff and the house church leaders. Pray the house church leaders will be able to disciple and equip believers to both grow in their faith and witness to those of the majority religion in Cambodia. Leonardo De Chirico reports Reid and Gianluca with a core group of six will be sent out to plant a daughter church in Rome – San Paula. As as other young leaders emerge additional churches will be planted in other areas of the city. They have hired Liberato Vitale as church administrator. Pray for Leonardo and the church as they bring the Gospel to a city steeped in religion but weak in knowledge and understanding of Christ’s role in our lives. A visit from Jackie’s parents was a great encouragement to her, and friendship with Alla and Adele, two girls from Covenant City Church, has given her clarity of purpose and peace of where she is at the moment. Pray relationships with Naomi and Shayla, girls from the English club, will lead to good connections as they get to know one another better. Pray for wisdom in discipleship as she seeks to love the girls God brings into her life with many questions and issues. Nick and Amanda are seeking ways to do ministry together. It is easier for Amanda to meet with the women as they are home during the day however the men are at work making it difficult to minister as a family. Their girls’ bedtime precludes evening meetings. Nick plays soccer with some refugee men in the evening, pray that will open doors for relationships and conversations about the gospel. A team of 15 from Campus Outreach led by Chris and Jen Devine leaves tomorrow for Thailand to build relationships and do outreach at North Eastern University in Khon Kaen. This CO summer camp is a month long evangelistic event where Thai Christians and CO personnel have hundreds of opportunities to share Christ with Thai students. Pray for open hearts and believers willing to spend time discipling new believers. Our team returns July 3. Our East Asia Partnership is sponsoring a pastors’ conference May 23-26 in East Asia. It is anticipated that up to 5,000 national pastors, church planters, and Christian workers will attend. This is the fruit from the training that has been held involving almost 100 churches in East Asia over the last two years. Dan B. and Drew W. will attend and meet with our partner city/church leaders while they are there.